Get any punchout application and connect to your ecommerce store. 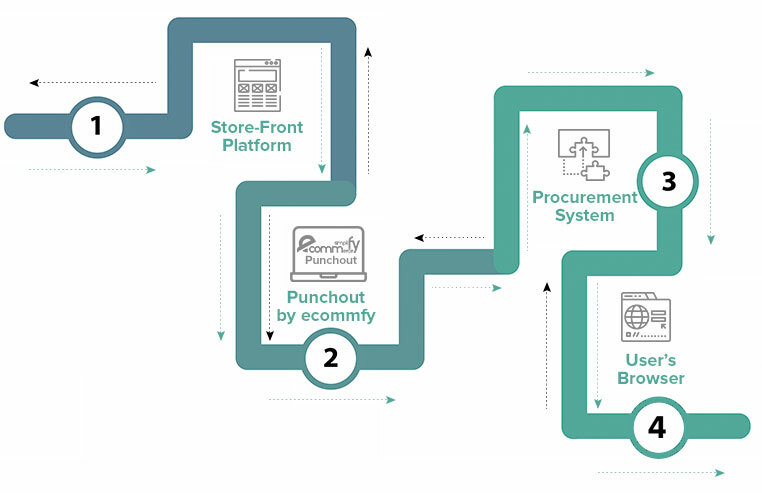 Punchout catalog offers an adaptable gatway solution with unparalleled support to connect your store to any procurement system. In case of a large company, this enables your employees to simply buy by creating quick purchase orders that conform to supplier’s conditions. It replaces the need of a complex eProcurement application. It also authorizes employees and let them buy from a pre-approved list of suppliers. It controls the buying orders of products and services for your company.